Installation view ‘The Center Of Gravity’. Image courtesy of Sommer Contemporary. 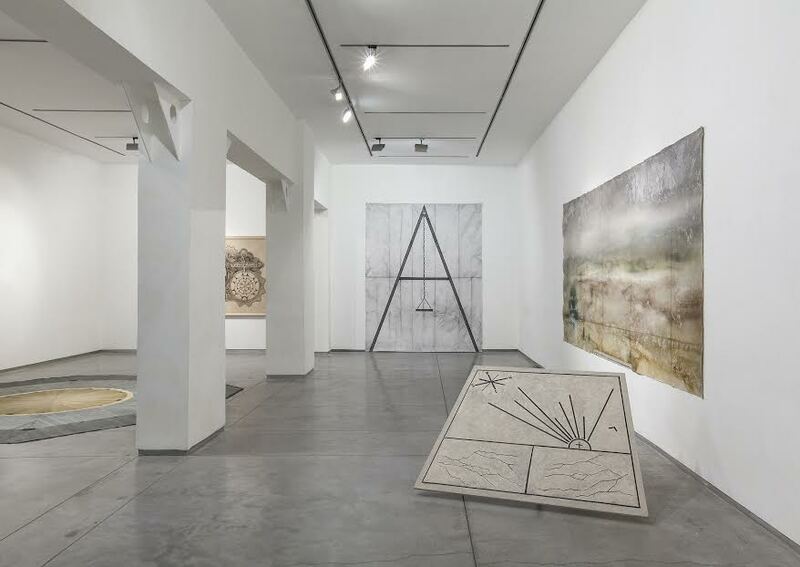 Welcome to The Center Of Gravity, an exhibition as ambitious as it is brilliant. A confrontation massive in physical scale, endless in content, provocative, challenging. 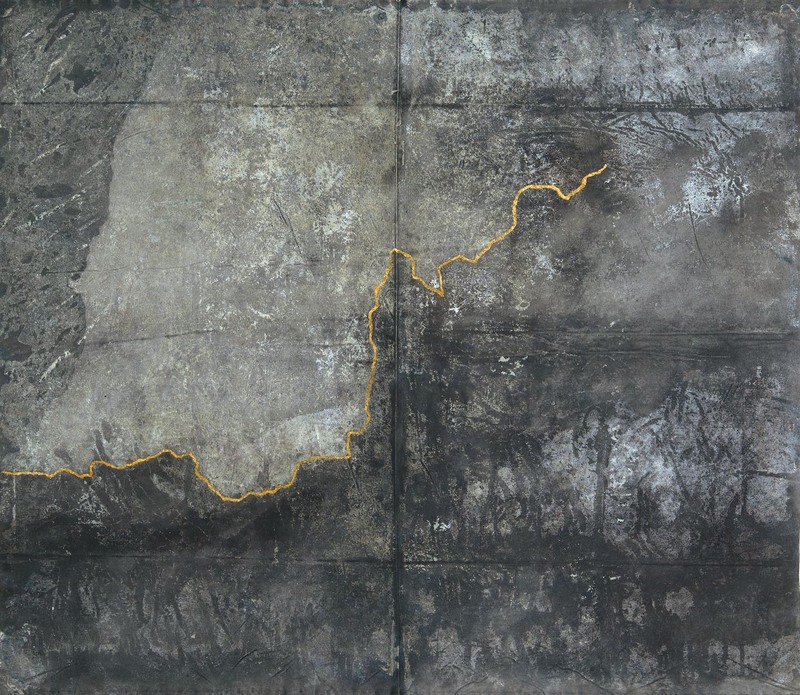 Artist Lihi Turjeman exists in the center of the world; her work reflects this. Monumental statements are made; perhaps there is no other way. Evading grand conclusions, Turjeman in turn asks the questions many of us run from—or at least try to. The exhibition is inclusive, participatory. Cultivating an engagement that transcends visual attention, spilling over into physical awareness. Reflecting the artist’s process, Turjeman works in what she refers to as ‘action painting’, a technique involving the entirety of the artist’s physicality in the process, and in turn involving the audience on an equivalent scale. 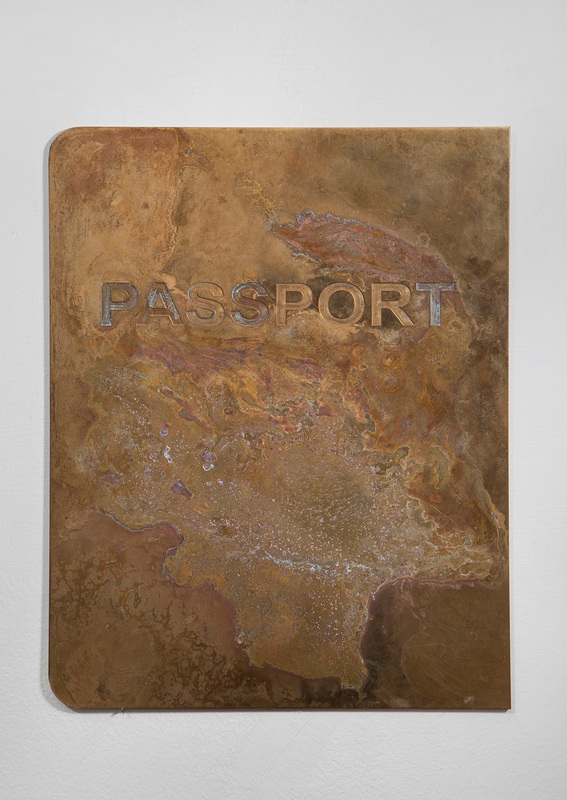 ‘Passport’, 2016. Image courtesy of the artist. A daring move, The Center Of Gravity, speaks to over 5,000 years of history, conflict, life. Jerusalem, Israel, Palestine. These spaces have been presented artistically, intellectually, theologically since the beginning of it all. Against all odds, Turjeman presents the locality, employing a perspective that is not only new, but exceptional. Toying with the conventional wisdom surrounding depth and time, Turjeman has, in The Center Of Gravity, flattened the ultimate monument, contracting the physical space, and in turn, expanding the intangible space necessary to understand the structure itself. 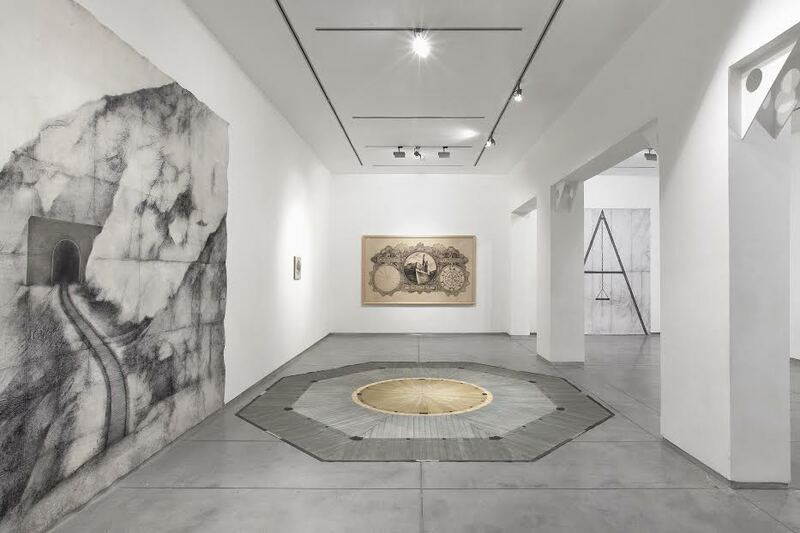 United through conceptual minimalism, many of the works are stripped of essential elements, maintaining familiarity, while diminishing the obscurity of collective knowledge. In Welcome Back Traitor, Turjeman’s map of Mount Nebo is produced without any location names. Removing the subjectivity of language and politics; allowing the audience a rare, unobstructed view. In PASSPORT, Turjeman removes the document from time. Petrified, immortalized, the document loses its power, its function. What does it mean to us now? Creating in the here and now, Turjeman’s works link our reality with the past, all the while pointing to the future. The artist presents a progression of time, running in tandem to the cycles that repeat infinitely. Looking forward, while maintaining a commitment to the honesty of it all, the impossibility of it all, the constraints that encapsulate us all. On the Fine Line, 2016. Afar Installation. Image courtesy of the artist and the Wilfrid Museum.